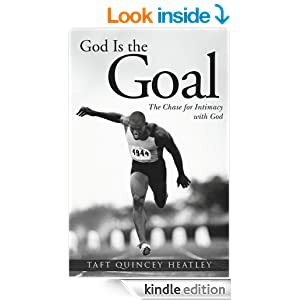 GOD is the GOAL offers readers a look into the life of Taft Q. Heatley. This book offers insight into his journey from financier to faith filled minister. Heatley looks back over his life with an introspect and rawness most ministers aren't comfortable sharing out of fear of judgment. Each chapter unfolds how he confronted his fears, explored all of his options in life and found the answer to all of his questions. Every believer interested in moving into a more intimate space with God will be able to learn something from the testimony and nuggets shared in GOD is the GOAL.